✔️ Do you have stomach issues that have been brushed off as “just IBS”? ✔️ Do you avoid doing things you enjoy because you’re worried about having to find a bathroom? ✔️ Do you suffer from migraines, brain fog, eczema, or joint pain? ✔️ Have you (or your child) tested negative to skin prick/scratch tests or IgE blood tests but you still feel food is the culprit? If you nodded your head to any of the above, good news: we’re ready to help you. At Elite Wellness & Performance, we want to get to the root of what’s causing your health issues, not just dull the symptoms. Almost all of the above symptoms (and more) can be traced back to inflammation. Most inflammation is either caused by or made worse by food sensitivities. Food sensitivities are different than food allergies. Food sensitivities are pesky, annoying, sneaky fiends. They lurk in the background. The hide in nooks and crannies. They trick us. And most of all, they wreak absolute havoc on our immune system. That’s why they can cause such an array of symptoms. The thing that makes identifying food sensitivities so tough is that they can cause delayed reactions (meaning you can eat something and not be affected by it for 3 days) AND they can depend on how much you eat (meaning you can take a couple bites and be fine by eat the whole thing and the immune system attacks). Combine both of those things and you could be guessing which foods are the problem or not for years. So let’s take the guesswork out of it. Let’s let science do it’s thing and figure it out for us. 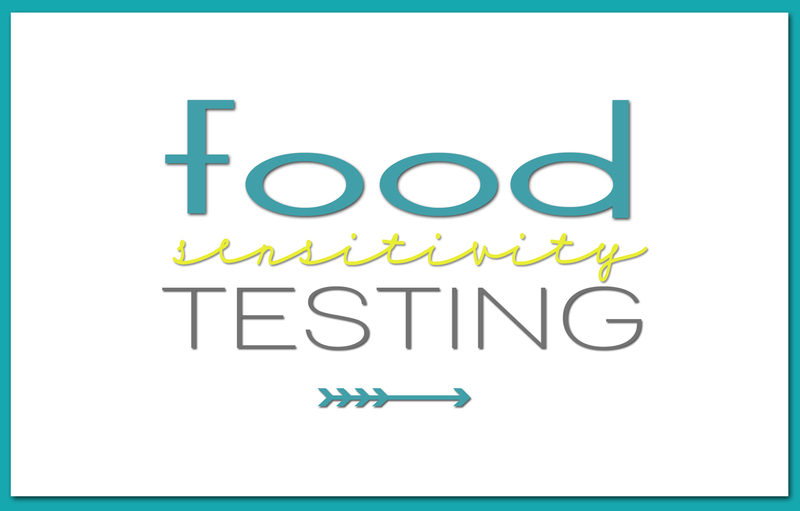 Without getting too scienc-y on you, here’s the gist: We use a special test (called a mediator release test, or MRT) that looks for a reaction from the immune system when faced with 120 different foods and 30 food chemicals. We discover what causes an immune response in your body (whether it’s IgG, IgM, IgA, t-cell mediated, etc.) and more importantly, we learn what doesn’t cause an immune response. These foods and chemicals are different for everyone, which is why random elimination diets can be so frustrating. What gives the test superpowers is that it measures the reactions, telling us what foods are most likely “safe” for you to eat and which ones will send your symptoms into overdrive. Then comes the fun part: we build you a custom oligoantigenic diet (that’s a fancy word for elimination diet) based on those safest foods. Technically it’s called Lifestyle Eating and Performance, or LEAP. Unlike other elimination diets that require you to be on them for months at a time before testing new foods, we start adding in new foods within the first month (usually 2 weeks). First we add untested foods one at a time, watching for any reactions. Between 3-6 months we try adding in foods that you had medium to high reactions to on the test to see if you can tolerate any of them now. That means just because you tested reactive to something, doesn’t mean you’ll necessarily have to avoid it forever. Sometimes our insides just need to heal in order to let our immune system chill out. Your results will include a 60+ page booklet explaining about different foods, food chemicals, eating tips, etc. It’s a huge book. Do Not Panic. You also get a wallet-sized color-coded cheat sheet that reminds you what foods you are the most reactive to. You’ll follow the eating plan. You follow your specific diet (usually 20-25 foods) for about 2 weeks, then check back in on your symptoms. We make adjustments and/or start adding in new foods. Food allergy testing is pretty straight forward, but when it comes to food sensitivity testing or food intolerance testing, things can get a little murky. Most tests look for the antibody (typically IgG) that can lead to a reaction. Sometimes it will provide a clear cut answer, but often it won’t. The problem is that sometimes IgG can be good – it can be protecting us. Other times it shows up as a “positive” simply because we’ve eaten the food recently or frequently. On the other hand, it can show a “negative” to a food we’ve never had or haven’t eaten in a long time. Then we eat that food thinking it’s safe, only to still have symptoms. There are literally thousands of different types of food & food chemicals. If you test for 100 foods and only avoid the ones that show reactions, you could still be eating hundreds of foods that cause a reaction for you without even knowing it. This test lets avoid all those unknown factors and really get to the bottom of the inflammation. It varies by individual, but most people see a marked improvement in symptoms within the first 7-10 days, with symptoms continuing to improve over the next 4-6 weeks.